What a beautiful day for West Suburban! 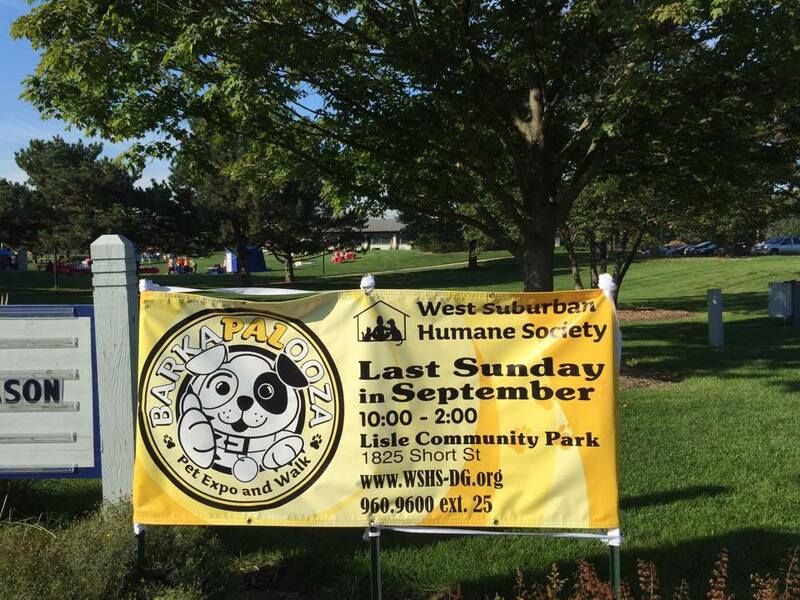 This was the 21st year for the West Suburban Humane Society walkathon - it started out right around the shelter as Steps For Strays and has grown to the current huge yearly event! Feral Fixers has been a welcomed participant for 8 years now. The transition has been impressive! 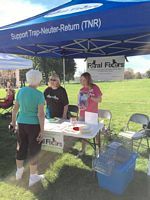 Our first year, people avoided meeting our eyes and kind of sidled up to the booth to ask just what TNR was. This year, as people saw our t-shirts as we were walking thru the crowds they were saying "Its great what you guys do!" "Thanks for what you do!" 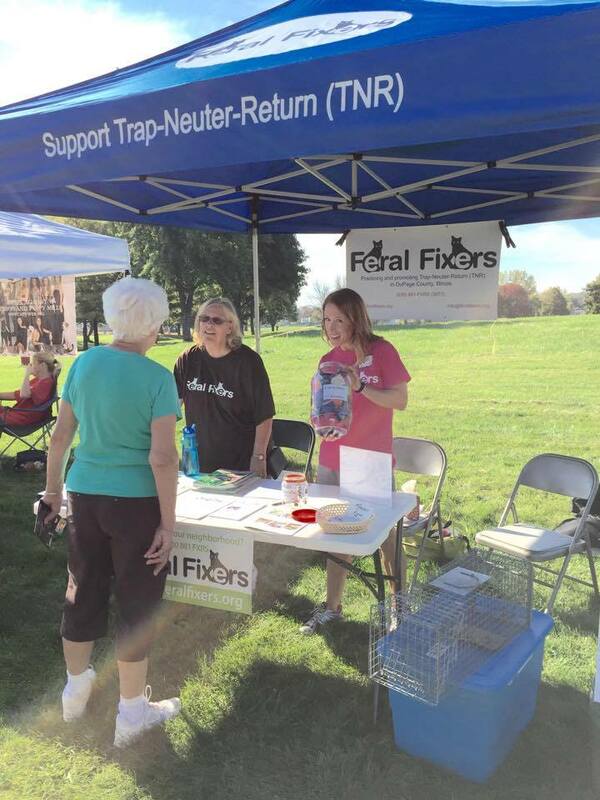 People who come up to the booth have stories of cats we've helped - theirs or a neighbors, cats that they have adopted thru us or West Suburban that started out as Feral Fixers cats. 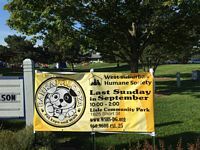 We are a full-fledged member of the Rescue community and we thank West Suburban Humane Society for their help in that!